In the start of last year, I updated the bare metal "IchigoJam PC" to support sound. 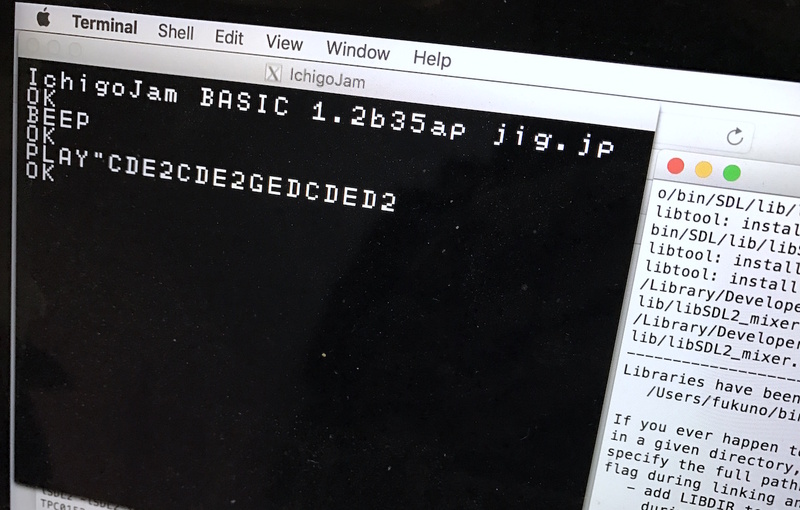 This year is IchigoJam ap (IchigoJam application for other OS). Now only on Mac OS X, but I using cross platform library "SDL2", so I will! This is a one of famous Japanese new year song "OSHOGATSU" in IchigoJam MML(Music Macro Language). Let's sing a song with your computer! - IchigoJam tone map "Let's make a binary recorder!"